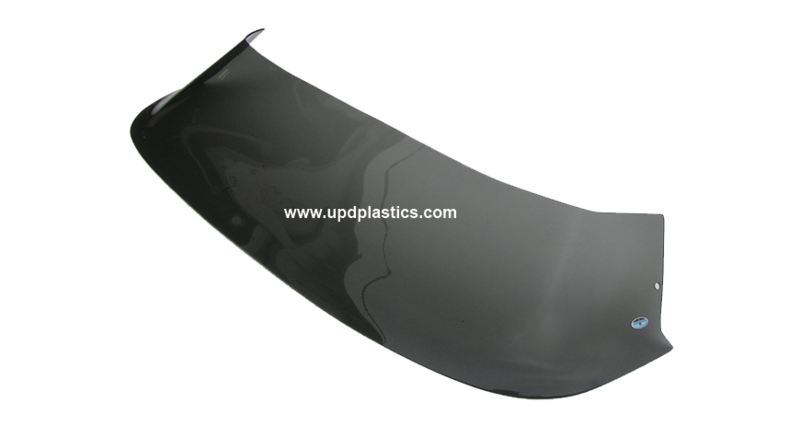 If you see the UPD Plastics OEM Parts logo to the right, it is defined as windshields that are exact replicas from the Original Windshield that was manufactured for the said boat. We cast molds from the original windshield so that it is an exact match. Although our windshields are an exact match we cannot guarantee they will fit your boat as there are some factors that may exist such as multiple owners of older boats may have swapped out the original console for a console from a different boat, or a console may have had alterations done to it that the current owner has no knowledge of. It is for this reason we require according to our sales agreement that the purchaser compares the shape, contour, and sizes we publish on this web site against their existing shield and or console to be sure that they match.